Ladies and gentlemen; “Elvis has re-entered the building.” Elvis Presley’s material has been released in just about every conceivable way and form. The latest entry in the Elvis Presley sweepstakes takes us back to the beginning of his career. 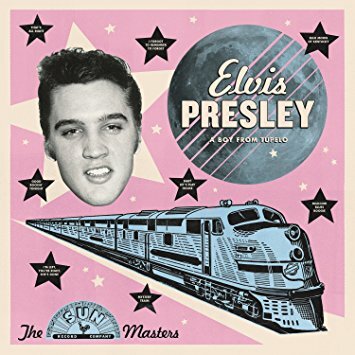 Elvis Presley: A Boy From Tupelo is a massive 85 track box set that contains every studio track, live performance, alternate take, and spoken word ever recorded for the Sun label. It even includes a new unearthed live track. If you do not have the inclination or cash to purchase the big set and want to go a little retro then I recommend the vinyl release containing 17 tracks of his best known early material. The sound is just about as perfect as the 60 year masters will allow. The vinyl LP just presents the basics. There is no duplication due to various takes or incomplete songs. Songs such as “Mystery Train,” “That’s All Right,” “Baby Let’s Play House,” “Blue Moon Of Kentucky,” and “Milkcow Blues Boogie” not only began Elvis’ career but changed the face of American music. They show his ability to fuse country with rhythm & blues into what would quickly become rock and roll. When Elvis moves away from the rock and roll, some of the electricity is missing. In some ways “Harbor Lights,” “Just Because,” and “Tomorrow Night” seem a little out of place but remain a part of his legacy and represent a style he would return to later in his career. Despite the clarity and format, the music has been issued a number of times. Therefore this is a release that will appeal only to an Elvis fan, a vinyl collector, or someone who wants to explore the roots of rock and roll. If you fall into either of these categories, then this is a release for you. The Nighthawks are an ultimate bar band who made good. Now five decades into their career, they continue to play their unique and gritty brand of blues, rock, and roots music. The have now issued their latest album All You Gotta Do. They keep it straightforward and simple on their latest release. They are no guests; just the members of the band. There also keep overdubs to a minimum. Basically what they record in the studio is what you get. While many of their albums contain almost all original tunes, here except for three songs, they move outward to cover material from a number of very different artists. The blues have always provided the band’s foundation. Muddy Waters “Baby I Want To Be Loved” is a grade school primer of the blues, Chicago style. They move Sonny Boy Williamson’s “Ninety Nine” close to rock and roll with Mark Wenner’s harmonica filling in the gaps. “Snake Drive” has a driving beat that would fit the smoky club scene late at night. The three original songs travel different paths. “Another Day” is a folk-like protest piece clothed in a blues framework. “Blues For Brother John” is a hybrid song that focus’ on Wenner’s harmonica. Mark Stutso’s “Voo Doo Doll” is the requisite love song. Harmonies have always been a part of the Nighthawks appeal. Jesse Winchester’s “Isn’t That So” is a gentle harmonic romp though one of a song masters creations. The Standells “Dirty Water” is an ultimate garage song Thousands of wanna-be bans have covered this song. They change it up a bit but it is a fine salute to a uniquely American style. 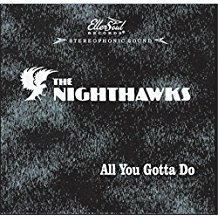 All You Gotta Do finds the Nighthawks in fine form. An album of solid blues and rock and roll from a veteran band who have honed their craft for decades. Not quite what I expected. Blue Image, with and without singer/guitarist Mike Pinera, was an under rated rock/blues band 1966-1970, who released three studio albums that are still worth tracking down. The commercial peak of their career was the hit single “Ride Captain Ride.” Pinera were on to become a member of Iron Butterfly, The New Cactus Band, and enjoy a long solo career, which is where these albums problems begin. Pinera covered a lot of Blues Image and Iron Butterfly material during his solo career. Much of it is solid rock and roll but it appears here under the Blues Image moniker, which is a tad misleading. There are no other members of Blues Image listed in the credits. If you want a primer or over view of his solo career, then this is a good album to explore. If you want to explore Blues Image or Iron Butterfly material, then look elsewhere. “Ride Captain Ride,” “Love Is The Answer” with guest Jonathan Cain, and “Pay My Dues” with Pat Travers are songs that appeared on the second Blues Image album Open. Here they are modernized versions of the songs. Travers adds a little edge to”Pay My Dues” but moves it toward hard rock and away from its original blues foundation. His time with Iron Butterfly is represented by “In A Gadda Da Vidda,” which is just too modern and “Butterfly Blue,” which is saved by Pat Travers. Four tracks are taken from his 1996 solo album In The Garden Of Eden” and 2012’s Isla. “Fantasy Of Love,” and the two title tracks are competent but do not rise above that level. 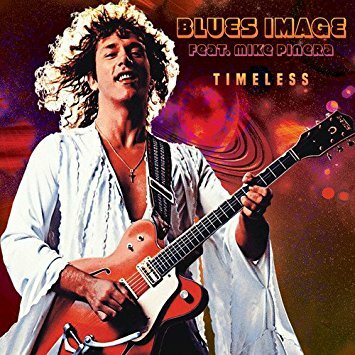 Timeless: Blues Image Featuring Mike Pinera is a disappointing release that in and of itself, never rises above the ordinary. It also make one yearn for what it could have been. The endless summer of the Beach Boys has reached the 55 year mark. Created in 1962, it still beckons, several generations now, to a life that is just beyond the horizon. 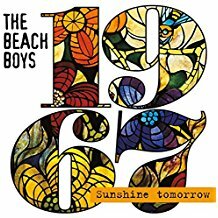 The Beach Boys 67: Sunshine Tomorrow is the latest entry into the bands lexicon of music. It is a album for Beach Boys devotees as it gather studio tracks, alternate versions of songs, live performances, rehearsals, and a few oddities from 1967. The two CD contain a generous 67 tracks. It is not an album you may want to pop in the car stereo while driving down the highway but it does fill in a lot of gaps in the their musical journey. The center piece of the release is a stereo mix of the Wild Honey album. Re-mixing an album in stereo can be tricky, especially given the age of the original tapes, but here the channels are just about perfectly balanced. I have always found Wild Honey to be more interesting than enjoyable. Brian Wilson was moving away from their sunshine pop material. Wild Honey is about as experimental as he would ever get and as such it is a unique album in their catalogue. The band would quickly reverse direction and settle into a rock/pop hybrid sound. Still, Wild Honey is worth the journey and in many ways fares better in the musical world of today. The album is populated by a number of interesting inclusions. There are live versions of “Wild Honey” and Country Air” from a November, 1967, concert. It is interesting to hear the band tackle technically difficult material. When the Beach Boys sing hit songs by other artists, they rarely get them right, but they do provide a unique perspective. “Game Of Love,” “The Letter,” and “With A Little Help From My Friends” add little to their legacy but find them covering songs like thousands of American bands. Whether or not you want to acquire this release will depend upon how invested you are in the Beach Boys. If you need everything by the band, then The Beach Boys 67: Sunshine Tomorrow is a treasure trove. If you just want to experience the eternal summer, then any of their compilation albums will do just fine. 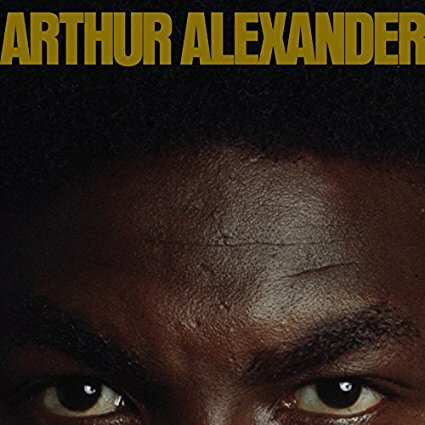 Arthur Alexander, (1940-1993), is one of those artists that you have heard but may not know much about. He is best known as a song writer. His compositions have been recorded by the elite of the music industry including Bob Dylan, The Beatles, The Rolling Stones, Bee Gees, Otis Redding, Pearl Jam, Dusty Springfield, and a host of others. He only released three studio albums during his 30 plus year career but those releases made him a pioneer of the soul-country style of music. His best known recorded song, “You Better Move On” has been recorded and sung by countless country artists. Omnivore has now resurrected his second self-titled 1972 album. It arrives with a crystal clear sound, new liner notes by Dr. Demento, and six bonus tracks, two of which are being released for the first time. The album was recorded in Nashville, which helped fuse his soulful approach with country music. Backed by some of Nashville’s elite musicians, he helped found a new music form. The best know song is “Burning Love” by Dennis Linde, which was written especially for him. His countrified version was quickly covered by Elvis Presley and became the last top ten hit of his career. His own gospel oriented “Thank God He Came” and Dann Penn’s “Rainbow Road” are emotional peak of the album. The album quickly disappeared due to the changing musical landscape and it not really finding a niche. Four and a-half decades later it fares better as a gentle exploration of an under appreciated style. It is a fitting epitaph to a forgotten artist whose music helped shape his era.